It’s a new year, and a great time to plan for your ecommerce business. But what lies ahead in 2015? No-one knows the future, but those with the right knowledge and experience can make some great educated guesses. With that in mind, I asked more than thirty experts what they thought would happen in ecommerce in 2015. They blew me away with 39 great predictions about marketplaces, delivery, cross-border trade, mobile, niche trends, marketing, social media, payments, bricks and mortar, and rules and regulations. It’s the biggest Expert Voices ever. The eBay and PayPal divorce is scheduled for Q3 2015. It will be a rocky road. The split should be good for both and give them commercial freedom. But neither could be single for long. A mobile device company will be keen to snap up PayPal and eBay too will be a vulnerable acquisition target. The sharks will circle: Google, Microsoft, Apple and others. Even if both companies fight off the bids, it’s going to be interesting. Expect to be surprised. Tesco and Rakuten will start to catch up with Amazon, although it may take years for them to become serious competitors. More sellers will explore “alternative” international marketplaces like Cdiscount in France, TradeMe in New Zealand and international Google product search. And Chinese marketplaces like Tmall will become more easily accessible to Western sellers. The growth of online marketplaces over the last 10 years has been astronomical. Although this is set to continue for Amazon, Rakuten and eBay, I predict that a number of “niche” marketplaces will increase their market share. As shopping habits mature and consumers become savvier on price and service, the emergence of marketplaces in categories such as furniture, jewelry and electronics will be far more noticeable. Good luck to them I say! Alibaba has already processed more orders than eBay and Amazon combined. In 2015 I predict they will open AliExpress to sellers of other nationalities, creating a massive boom in the market. Alibaba will become a serious competitor, if not the main market place, for buyers in the UK. This will be a very exciting time. I feel that 2015 will be the year that a viable rival to the big two (eBay and Amazon) will emerge in the ecommerce marketplace platforms. Rakuten and Not on the High Street have the potential to make a credible challenge to the big two and offer sellers a wider choice of high volume sales platforms on which to sell their products. In 2015 I expect online retailers to start showing signs of sales channel fatigue. Brands have their own stores, and often automate integration with eBay and Amazon. Newer channels like Rakuten, Sears and NewEgg have started to catch up. Then there is 11 Main for fashion and home goods, SkyMall for unique items and travel, and Overstock – for everything discounted. Start-ups and established companies are launching new platforms, like Staples with the Staples Exchange. This barrage of possibilities is already straining some retailers and soon many more will have to make strategic choices – where not to sell. The main event I expect to see this year? Three words: Same Day Delivery. It has been talked about for a long time but in 2015 will take hold in a big way. I expect Amazon to lead the way, and it will be interesting to see how eBay can do the same. The true challenge will be for independent websites. I expect a lot of couriers trying to jump on the same day delivery frenzy and this will change the expectations of ecommerce customers forever. Free shipping will be king. We have seen the rise of free shipping over minimum spend recently, and more retailers will be offering services like Amazon Prime. Marketplaces will get stricter on service, making retailers ship on time and use reliable carriers to meet buyers’ expectations. Lower fuel prices will trigger changes in the delivery costs for packages, which will lead to many more free shipping offers as standard practice for online retailers, and higher sales! Environmental groups will protest against all the packaging used and lobby congress to regulate manufacture, and put in place biodegradable standards and limits on usage. Whatever happens, online sales are on the up. Collection and timed delivery will be bigger, so sellers should make sure they offer a wide choice of delivery times and methods for their buyers. The big players will continue to innovate and smaller sellers will struggle to keep up. For the past few years online marketplaces have been growing faster than underlying ecommerce, largely due to their innovative services and huge breadth of products. Even now, Amazon are playing with drones and one-hour delivery, and eBay bought same-day delivery solution Shutl. These innovations are aimed at customers but require significant investment that is simply beyond smaller sellers. 2015 is going to be a crazy year for ecommerce. I’m predicting that it will be the year for cross-border trading. With all of the new software out there, logistics services and oil prices dropping it only makes sense to start selling into other markets. It might even be crazy enough that Alibaba will buy out one of the big three marketplaces (Amazon, eBay, Rakuten). It will be a great year for anyone in the ecommerce space! As successful e-retailers look to expand internationally, localization issues such as language, tax, payment, compliance and customer expectation will lead them to enter new countries using local marketplaces rather than setting up their own websites. In turn these marketplaces will grow internationally leading to increased competition in local markets. Hopefully this competition will result in reduced fees from the dominant marketplaces. Multichannel providers will integrate more international marketplaces. Currently, ChannelAdvisor is leading on this and will be popular for those seeking new opportunities to grow the business. A technology provider will add support for eBay’s Swedish marketplace, Tradera, early in 2015. 2015 will see huge numbers of enterprising SMEs turn into enterprise-level businesses, and they’ll turn ever more to international ecommerce. With more tools and marketplaces on board, international trading has never been easier. The boom is well and truly underway and enterprising sellers are leading the way! Buyers will get more involved in searching for the right product, and physical borders will not appear. Both cross-border and mobile sales will grow next year. For sellers, this is a great opportunity to spread their risk, not only over multiple marketplaces, but over multiple countries. Mobile is mainstream. The shopping experience, advertising, price-checking and payment processing is in our pockets. This levels the playing field even more for e-retailers versus brick and mortar stores, and we could see increased competition from traditional retailers. E-retail is no longer the ugly step-sister, it is the belle of the ball, and is every bit as enticing to traditional retailers today as it was for us yesterday. Prepare for more and more of them to enter this distribution channel. Mobile, mobile and more mobile! If your e-shop isn’t ready for mobile, you will certainly miss out on more people shopping on their phones in 2015. Additional mobile pay options will emerge to compete, expand and integrate with Apple Pay to make m-commerce even faster and easier – as easy as “bumping” data. Web design is going to change from desktop first to mobile first. Now we all start by looking at how our listings or website look on a computer, then check on mobile. That’s going to shift because in 2014, around 40% to 50% of traffic came from mobile. In 2015 that is going to increase to 60% or 70%. Your entire strategy for online selling has to be mobile first and then desktop. We are going to see massive growth in 2015. All the signs point to a more mobile-focused, decadent year of materialism and impulse buying! I know I am leaning more towards services that offer a really quick-to-buy opportunity like the eBay and Amazon apps. On the flip side I think we are going to see more issues with cyber crime and infrastructure, and our big marketplaces shaking under the pressure. 2015 will be the year where we see a huge surge in subscription-based and crowd-funded online retailers. Start-ups like San Francisco-based Backerkit and Austin-based Cratejoy are working to make it easier for such business models to be successful. Tools like those, coupled with ever increasing ease of sourcing and manufacturing, as well as the ease in which one can launch an online store will fuel these segments of retail in 2015. The exponential growth of B2B ecommerce will continue to skyrocket in 2015. People are used to the polished consumer ecommerce experience, and are demanding the same for B2B. Over 45% of survey respondents want to use B2B marketplaces to increase revenue over the next year. Businesses are starting to combine retail and wholesale, and others need to adapt, or risk dying out. For years, group buying and daily deals sites have focused on the lowest prices using any method, such as untracked shipping. In 2015 those sites’ customers will demand higher service levels, putting good suppliers and product owners in an advantageous position. Service and reputation will start to get at least as much consideration as price. Private labeling has been around for years but is finally reaching a boiling point. It’s not a new concept – I’ve been doing it for nearly a decade and retailers have been doing it much longer. But it seems to be a trend that has reached the mass market audience and sellers are jumping on board like it’s the fastest train to easy money. If you haven’t seen the latest eBook, training course or coaching program on it yet, watch for many of them to hit the digital shelves in 2015. It’ll be another volatile year from an SEO perspective, as Google continues to target those who have adopted unnatural techniques in order to improve their organic visibility. I can see them continuing to develop their Penguin and Panda updates and I’m sure they’ll continue to increase the presence of paid listings, which has been a trend for the last few years. In 2015 there will be a growing consumer shift to smaller brands that are good, do good and have a story. On the SMB retailer side, brands will begin to better understand the importance of integrated storytelling across all channels, email, social, ads and product descriptions. PPC Text Ads will start being considered unprofitable for many companies in 2015 – I’m already hearing some of this. The competition is so fierce, that only players with multiple marketing strategies (e.g. social, offline, viral) are able to justify their investment in SEM to acquire new customers. Amazon will release their own ads platform to directly compete with Google. We see ecommerce in 2015 becoming more personalized to the individual user. Amazon marketplace has recently introduced the ability to make an offer, whilst our platform has always been based on empowering the consumer to demand a better offer. This kind of bespoke pricing strategy is on the increase. 2015 will see the ecommerce segment really take social commerce seriously. Paid opportunities will trump the free stuff because it is easily scalable. Once you get a successful ad, adding more budget to it makes it easy to yield larger results. Social allows us to segment and target advertising in ways you could not do before. Social media will be the biggest game changer in 2015. Buying and selling functions like eBay and Amazon will become the norm to sell directly on social sites, and the conversion process will become much shorter. Retailers with few followers will lose out to those with a healthy and loyal following, and successful social media marketing will be more important than a retailer’s size. 2015 will have a breakout of case studies on the profitability of Facebook Ads to acquire new customers for ecommerce companies. The Facebook Ads platform, and retargeting using vendors like Perfect Audience, Adroll, Criteo and Triggit have proven great ROI in the past two years. Agencies at the high end of Facebook ads are doing amazingly well. Things like Apple Pay will evolve and start to play more friendly with common ecommerce platforms, allowing SMB merchants the ability to accept one touch payments from mobile devices. This will have significant impact on conversions from mobile and will be bigger than Amazon’s patented 1-Click checkout. 2015 might be the year where payments take center stage in the world of ecommerce. In 2014, PayPal separated itself from eBay not long after acquiring Braintree. Apple released an iPhone with payment capabilities (Apple Pay). Klarna arrived in the UK with a new approach to “checking out” which apparently increases conversion like no other payment method on smart phones. What links all of these is mobile – it’s the catalyst which will disrupt payments and change ecommerce more than anything we’ve seen in years. Online merchants will make fraud prevention their top priority in 2015. Ecommerce fraud was growing at 26% in 2014, and will push small and medium sized retailers to test and integrate digital currency into the online shopping experience. Large merchants such as Dell, OverStock.com and NewEgg have integrated BitCoin in 2014, and small business will follow suit this year. The line is blurring for offline versus online retail. It will be less about an ecommerce manager working in isolation and its now about leveraging offline data and offline interactions within digital, such as store visits and purchases. Physical retail locations will work to bring the digital shopping experience into the showroom and provide discerning shoppers everything they need to shop, research and compare competitive offers without ever leaving the store. I think we’ll see a lot more innovation in terms of retail technology in 2015 – there were lots of examples of this from big brands like Kate Spade, Sephora, Argos and various others this year and I’m expecting to see more next year, hopefully from smaller brands as well. This kind of innovation has largely been focused on delivering a consistent in-store and online customer experience, which I think will also remain a big trend for next year. Businesses offering digital goods and services will become vulnerable to the record keeping and accounting burdens of VATMOSS. Originally designed to prevent large companies evade tax, it has instead created a huge headache for smaller sellers. Digital goods providers effectively lose their VAT threshold, and physical goods sellers might be next. There’s evidence that the tax authorities have vastly underestimated the impact and cost of this legislation. Lawmakers will finally understand what it’s really like to run a small business. Better yet, they’ll realize how tough sales tax for online sellers is and issue a collective apology. Unfortunately, I’m totally joking and don’t foresee this happening at all, but it’s nice to dream! 2015 seems like it will be the year in which states get much more aggressive with enforcing existing compliance laws. Sellers should be sure they’ve dotted their i’s and crossed their t’s before the state Tax Man comes calling. 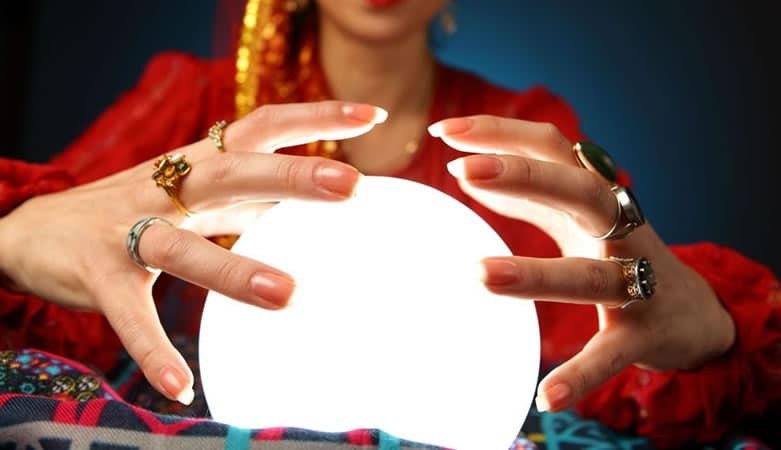 I hope you’ve enjoyed reading our experts’ predictions for 2015. What do you think will happen? Let us know in the comments below! Pingback: Why does my website need to be mobile friendly?